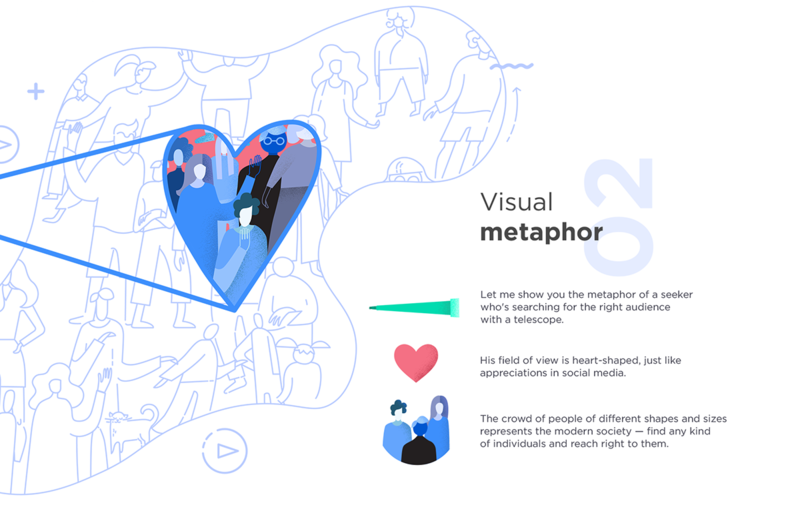 Adzoola is a SaaS which helps marketers to find relevant videos and channels advertising as well as top ranking pages, social media profiles, direct ad buys, etc. 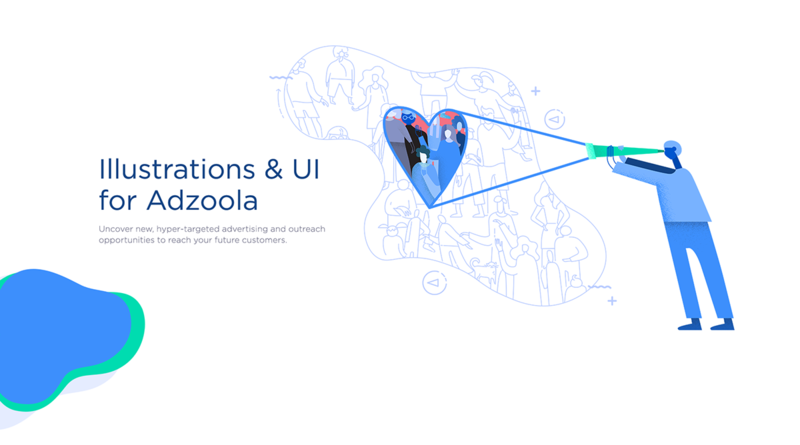 We’ve made Adzoola’s UX more user-friendly. 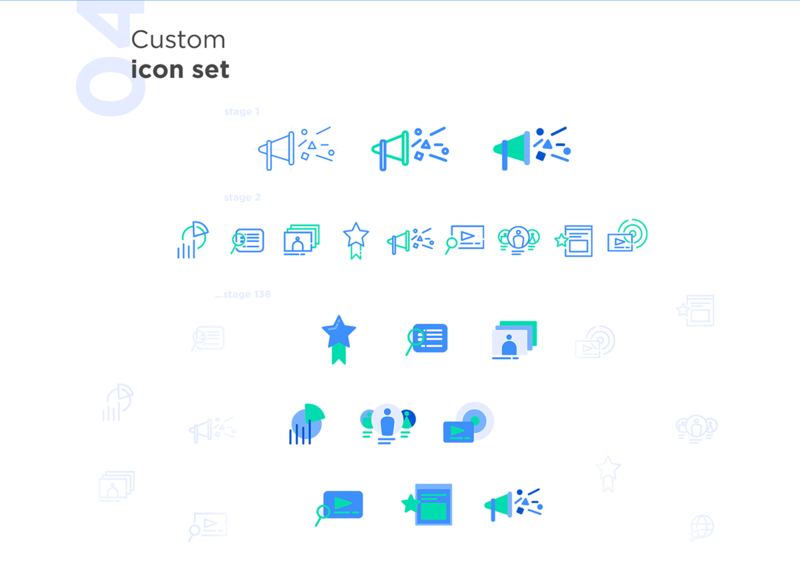 While adding some illustrations, we chose simplified shapes and minimalistic color scheme to achieve a modern fresh look. The red accent stands out of the page’s palette and make the image really eye-catching. 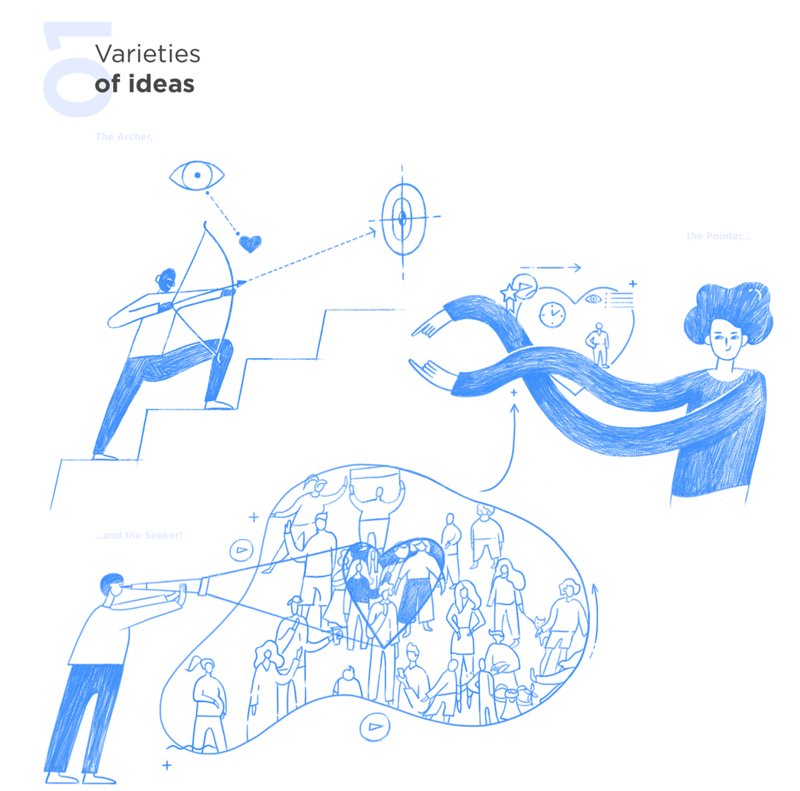 Extra illustrations depict things connected with visual content, which highlights the main field Adzoola is working in.